Being the No. 1 corporate service provider in Singapore, Paul Hype Page and Co is the best when it comes to Singapore Company Incorporation. By engaging with us, you will be assigned with the best in the industry for your Singapore business setup. In Paul Hype Page and Co, we will adhere to all your administration and business needs in accordance with all statutory regulations and requirements, and get your Singapore business Incorporation up and running fast and efficient. What distinguish us from all our competitor? YOU DO NOT NEED TO BE PHYSICALLY PRESENT FOR YOUR SINGAPORE COMPANY REGISTRATION!!! Yes, you read the statement right. Collection and viewing of all the company incorporation documents can be done online. It’s a trusted and secure system that has been tested for years, so there will be no breach of your data. Before we proceed, please allow us to inform you that incorporation of companies in Singapore is not as easy as you think. Your application can be rejected if you don’t fulfill the minimum requirement or standards that has been set by the relevant government bodies. *FACTORS THAT WILL CAUSE YOU TO FAIL IN YOUR COMPANY FORMATION ! Singapore adopts a strict approach to combat money laundering and terrorist financing (ML/TF). This is led by the Anti-Money Laundering and Countering the Financing of Terrorism Steering (AML/CFT) Committee. This comprises the Permanent Secretary of the Ministry of Home Affairs, Permanent Secretary of the Ministry of Finance and Managing Director of the Monetary Authority of Singapore. We at Paul Hype Page & Co adhere to the regulation set by Accounting & Corporate Regulatory Authority (ACRA) and Monetary Authority of Singapore (MAS). Before we incorporate and proceed with your Singapore company registration, it is necessary for us to know who you are through the Know Your Customer (KYC) process. The regulations will assist the relevant authorities in knowing understanding all financial dealings better to monitor any transactions for identification and preventing suspicious transactions. Under the MAS Act, any institution that fails or refuses to comply with their requirements is guilty and will be liable on conviction to a fine not exceeding $1 million. Know your customer (KYC) refers to due diligence activities that all regulated companies must perform to ascertain relevant information from their clients for doing business with them. Everyone who is incorporating a company in Singapore are required to pass the KYC process. This is a necessary measure to ensure that everyone that has a company in Singapore are legitimate entities. With our ibizfile system, together with the assistance of Dow Jones, the process of conducting a KYC search is easy, effective, and legitimate. It is important for us to understand who you are. Paul Hype Page & Co has a long-standing history with many reputable clients. With that in mind, we do not want to engage into any businesses with individuals and/or companies that will tarnish the image of this company, the image of Singapore, and the country that our potential clients hail from. With recent developing news that involves money laundering, we have become more cautious. The worldwide case of the 1 Malaysia Development Berhad (1MDB) scandal in Malaysia has taught many institution to be more aware of their customers. In Paul Hype Page & Co, we believe in having the ‘RIGHT CUSTOMERS’, and we strive for the continuity of it. This will ensure continued growth for us and for your business. Client due diligence is required when an institution covered by AML and Countering the Financing of Terrorism (CFT) regulations enters a business relationship with a client. This process applies not only to Paul Hype Page and Co’s new clients, but also to existing clients to ensure that records remain up-to-date and relevant. 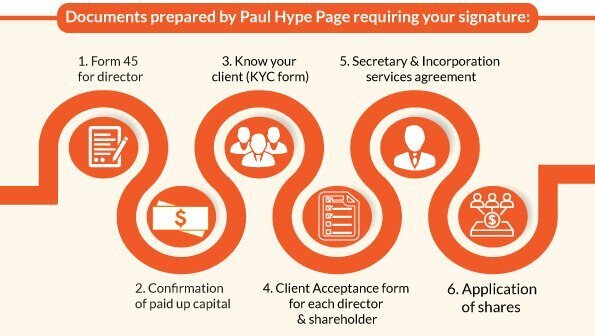 Safeguarding your interest as a client of Paul Hype Page and Co. Create and keep in safe custody the company seal or company/branch office rubber stamp and pay the relevant government and professional fees. DID YOU KNOW THAT A NEWLY INCORPORATED COMPANY IN SINGAPORE DO NOT NEED TO PAY TAX? Singapore offer a Start-up Tax Exemption Scheme which allows new offices to claim full tax exemption. The amount is up to SGD$100,000 on qualifying expenses for the first 3-years of tax assessments. Applicable to foreigners who are equipped with years of management skills, formal tertiary education and having met the minimum salary requirement. An EP can be applied with the Ministry of Manpower (MOM). Also known as an Entrepreneur Pass. This is for foreign entrepreneurs who are actively involved in the business operations and who do not have a formal tertiary education. Applications can be made with MOM. Approval of this visa is on a case-by-case basis. P/S: If you want to incorporate a company as a sole proprietor or partnership entity, you will not be eligible for this visa. A local resident based in Singapore must act as your local nominee director, with a local residential address. This is applicable to foreigners who do not want to relocate to Singapore, and those not involved in the daily operations of a business. A good exploratory option for foreigners to embrace the business opportunities in Singapore and within the region. Businesses signed within companies in Singapore can enjoy the privilege of banking and trading in Singapore. Whether you wish to relocate to Singapore or stay where you are, you can incorporate a Subsidiary Company. When the Parent company incorporates a Subsidiary Company in Singapore, the later will be regulated as a local company under the Singapore Companies Act. This entity shares the same provisions as other local companies in Singapore, even though the development of the company is foreign and separate. If you do not want to incorporate a local company in Singapore, you can still carry out your business activities by registering as a Foreign Branch. This entity is an extension of the parent company, and it is not considered a legal entity that is separate from the parent company. This entity will not have a board of directors or shares. A RO do not have a legal status but is merely an administrative arrangement. It is primarily designed for non-commercial activities. A RO is unable to carry out any profit generating business activities in Singapore. Limited by shares and is a separate legal entity from its shareholders. It is recognized as a taxable entity. A business entity owned by one person. Two or more individuals carrying out a business. Assets and returns are typically shared internally, although the amount may differ. A business owned by two or more individuals. At least one must be a General Partner, and one a Limited Partner. Each partner’s own liability is generally limited. As Singapore’s NO. 1 company incorporation service provider, our dedicated Corporate Specialists are here to guide you through the entire Singapore company incorporation process. We have 3 physical offices located in Malaysia, Indonesian and Singapore. We also have a virtual office in Korea. That means, coming in with Paul Hype Page & Co, do not only open you to the Singaporean client base, but open a possibility of conquering the Association of Southeast Asian Nations (ASEAN) region. With 3 other offices in the Association of Southeast Asian Nations (ASEAN) region, we can guide you to venture your business into that region. To keep up with the regulations in Singapore is a common pitfall for many new foreign businesses. A local resident director who does not make sure an annual general meeting is held and the annual return is filed with ACRA, can be summoned to court. Non-nationals who wish to reside and work in Singapore need a valid working pass to do so. Labour legislation imposed by the Ministry of Manpower (MOM) have made it more difficult to obtain a working pass. The cost of opening and running a business in Singapore is relatively higher than other Southeast Asian countries. Limited land also contributes to high rental costs for offices or retail space. The government’s strict employment limits on foreign workers can make it difficult to bring in manpower from other countries. Being a country of multi-ethnic society, it is vital that a newbie appreciate and understand all the many different customs and traditions that could impact the Singaporean business culture and etiquette. I want open a sole proprietorship company in Singapore with a bank account.My business nature will be trading.but I don’t have any local partners . I want to know the procedure as well as the cost and time duration for registering a sole proprietorship business in Singapore. I do have a business in Bangladeshi of supplying rice. Singapore is a good place to start a Singapore trading company. Our Singapore incorporation services allows you to set up the trading business within 5 working days and without you coming to Singapore. If you are interested to relocate to Singapore we can also apply employment pass visa for you and dependent pass visa for your immediate family members. With more than 8 years of specialized experience on incorporation and accounting, we are confident that we can provide you the best service for your needs. Please use online platform ibizfile (click link below) to register and fill in your incorporation details. Pls, share your email id for me to connect with you further. We are planning to incorporate an offshore company in Singapore. Welcome! You will find our all-in-one Incorporation with Employment Pass package solution the ideal choice. Do drop us an email at paulhypepage@php-cpa.com.sg to set up an appointment, we would be happy to assist. Appreciate your advice and guide to move forward for above set up with suitable business structure. Also suitable additional course available from your end to strengthen my know on above business concept. We would be happy to assist. However, we would need more details about the company you plan to set up in order to better advise you on the next move. Do drop us an email at paulhypepage@php-cpa.com.sg for more details. Looking forward to hearing from you. I am singaporean , how can I open a small barbershop in Singapore ? What should I need to prepare ? Can I contact to anyone for ask clearly … because I am not very well in English . You can give us a call at 62214723 for our mandarin speaking corporate specialist to assist you. We will be able to assist you in setting up your company as private limited so you can start your barbershop thereafter. I would like to set up a company in Singapore. I have a product that is manufactured in Korea and I want to ship it to customers around the world. I would like to incorporate a company in Singapore and have payments made to this company for tax purposes. I live in Australia and do not intend to locate any personnel in Singapore. I would appreciate your initial advice please. You’ve made a great choice! Singapore is one of the easiest places in the world to do business, and our all-in-one Incorporation with Employment Pass package is designed to help entrepreneurs just like you establish a company quickly and efficiently, taking care of everything you need. Do drop us an email at paulhypepage@php-cpa.com.sg and let’s talk more. Looking forward to hearing from you. It will be good to use your Malaysia company as a reference and expand to Singapore. With that, you can incorporate a company in Singapore and apply for the employment pass should you need to work in Singapore as well. We would recommend our Incorporation with Employment Pass all in one package. I would like inquire about setting up a company in SG. We’re a Korean company but the one to handle SG office is a Filipino. Kindly contact me through my email given. Welcome to Singapore! We would recommend our Incorporation with Employment Pass package as your best option to establishing a company in Singapore. My colleague will email you shortly with more information. We look forward to working with you! Hello- im planning to have my own vehicle transport as freelance/ and im a foreigner and want to have a business of my own and a valid working pass. My pass will end up this coming friday. Im thinking to continue with my own business. And continue my long stay in sg. With almost here for 7years with my employment pass. I hope for your soonest advice or guidance. And fast processing and help about my situation- and currently my family here with me since 2011. Thank you very much for your assistance about my matter. Setting up a company in Singapore is no problem. We would be happy to email you with the details. We would also recommend our all-in-one Incorporation With Employment Pass package, as we have the expertise to assist foreign entrepreneurs like yourself to set up a business efficiently in Singapore. My colleague will contact you soon. I’m from Dhaka. I want to open an import- export company in sg. Plz suggest me how to open company and get credit from bank. I also need to know ur tax policy. Will you be relocating in Singapore as well and need a work visa? We will drop you an email with more information about Incorporation with Employment pass for your consideration. Do reply on the email so we can further assist you. Hi, I’m from Singapore. I would like to open a small restaurant. Is it better to have a partner or not? Pls guide me from the very first step. Its depends what’s the reason for the partner. The best setup will still be Pte Ltd.
Should you like to know more about setting up a private limited company, do drop us a note at contact us and our corporate specialist will contact you shortly. Hi, I’m a Malaysian and incorporated a Private Limited Company in Malaysia. Now I would like to expand my business and wish to incorporated a SMEs(Private Limited Company) in Singapore. I would like seek for your advice the procedures, and terms and conditions to incorporate a SMEs in Singapore. Thank you. We will be happy to assist you. My colleague in Singapore will drop you an email with more information about Singapore Incorporation solution for your refers. You can also contact our branch in Malaysia (KL) should you need any direct assistance. Would like to set up a company in singapore with a singaporean partner, please advise what kind of permit i can apply with paid up capital of $20k. I am a malaysian with no higher qualifications. We can assist you with both incorporation and work visa application. We will need more information from you to see which work visa is more suitable for you as work experience and pay counts. I would like to register a company in singapore, it would be the trading co.
we don’t have any local partner/director there, what would be the formalities there and what would be start up capital required. Also I don’t want to relocate as of now, but might be in future. There is no minimum requirement for paid-up capital. It can literally be as low as $1. If you are not planning to relocate right now, we can help you to appoint our long term nominee director for the whole year, then you can still become a foreign director. For more information, you may contact us at 6221-4711. We will be happy to assist you. You can also start the process by filling out our online form. I would like to set up a company in Singapore. Plz let me know on the possibilities and options. We can definitely help you to set up a company but will need to know more about yourself in order to provide you more accurate advice. We will send you an email shortly for incorporation procedures. I have recently moved with my partner to Singapore on a LTVP. We have a family owned business in Australia and already have a very large expat clientele from Singapore and surrounds. I want to set up our Australian business here/want to be able to work for our Australian company in Singapore. Whichever is the best way moving forward. I understand that you would like to start up an Australian business in Singapore/ work for your Australian company here. There must be the best way to do it for your case. Please allow our representative get in touch with you. You would need to obtain a LOC (letter of consent) to work in Singapore with DP (depedent Pass). We will be able to assist you to start your business and apply for your LOC. I would like to know some details to start the Business in Singapore. (we are 6 people decided to start the Business -3 of the them planning to start the Restaurant Business & 3 of them IT consultant Business). we have one of our friend has the Permanent Resident Pass in Singapore, Will it be possible to use the PR to incorporate with us? Kindly let me know the details on registration part and expenses details to execute the process. Yes, PR can setup the company as Director and shareholder. It will depends if you required any employment pass (work visa) for the other partners for different kind of company incorporation. Do set a meeting with our Corporate specialist for a discuession. Our charges ranges from S$800 incorporation etc… depending on the different setup required. I would like to find out in the case of opening a business in singapore, if I have a local partner/director, however we do not as yet have a large startup capital. Myself being a Filipino, will I be able to apply for a work pass to be here in singapore to facilitate the startup of this business? This is going to be an F&B business. You can start a private Limited company in Singapore with as little as $2 startup capital. However we do encourage an appropriate amount as capital so to prove that you have a reliable business mode. We will be able to assist you from incorporation to work visa as well as corporate Sec to ensure all the business compliance are follow up. I am from India and want to register an offshore company in Singapore with the bank account . Kindly help us to proceed. I own a business and are divided into 3 services. 1. Website design, graphic design, mobile app design. I am currently in Singapore and im a foreigner but wanted to invest and start a business. I want to know what are the requirements if i will merge with a partnership in singapore. i am planning to get LTVP business visa to supervise the network systems. Or maybe can share how to apply as an independent owner as well and requirements if merging is abit complex. Incorporation with Employment pass will be a good solution for your case. Please contact our corporate specialist for full details and setup procedure. Dear PHP, we are singapore PR and would like to register a partnership trading business. Please advise. I would like to set up my own small business, like a simple cake/bakery store. But i am not sure how to go about it. will you help with the paper work? and how much will the fee be? Do contact me back by email. PHP Incorporation team will be happy to assist you with the setup of your company. We will drop you an email soon with more details. We would like to open a restaurant/ hawker stall in Singapore. We are total 3 partners. Please advice what is the difference for limited liability partnership and Pte ltd? How much you charge to register? What is the service included? Do you help for the license to corporate F&B? Yes our incorporation team will reply you via email with more details and step by step guide. Hi we would like to set up a fund management firm in Singapore. One partner is Singaporean and the other has an Employment Pass. Can Paul Hype advise us on the registration criteria and help us incorporate? It will be our forte to ensure smooth hassle-free incorporation. My consultant will be in touch with you soonest. I would like to set up a company in Singapoure that would be operated from and for Indonesian markets, since you country has a free trade/ no custom tax agreement with Indonesia. I would like your adbvice on how to approach this agenda. The company will be doing it’s bussiness as an entity form Singapoure operating in Inodnesia’s financial markets. I would appreciate very much any additional information or suggestion . We have the incorporation solution just right for you. Please make an appointment with our consultant for visa application. We will need more information from you in order to give you the right advise as you maybe more suitable for employment pass instead. Pls make an appointment with our consultant for LTVP application. We will need more information from you in order to give you the right advise as you maybe more suitable for employment pass instead. Need to incorporate company/ LLP in Singapore, for E-com operations, both the directors are Resident in India, Please guide what should be the way out. Please let me have more details so i can better advise you? 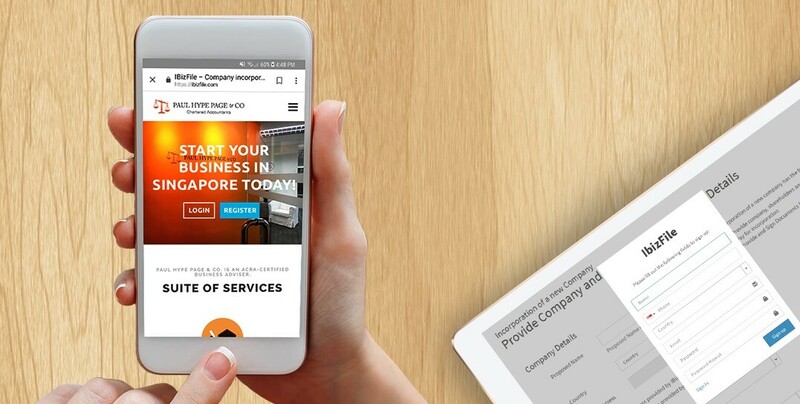 Are you interested in Registering A Pte Ltd Company in Singapore? It is relatively easy to set up a company in Singapore. We will email you the detail information , all you need is to decide on your company name, and we can help you do the rest, it will take about 3 days after payment with all signed documents received. Firstly you need to register a company with ACRA (with a company name), then you may want to find out more information about importing goods to Singapore, also applying for working visa. My colleague will email you will more information, do feel free to contact us once you are ready so we can assist you with your company incorporation.